MILAN/FRANKFURT -- Audi is poised to purchase Italian motorcycle maker Ducati from owner Investindustrial for about 860 million euros ($1.1 billion), a person familiar with the matter said. 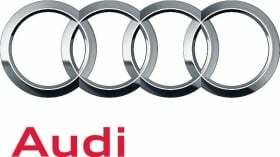 Audi has reached an agreement with Investindustrial to buy the maker of luxury motorbikes, with VW's supervisory board set to approve the deal on Wednesday, said the person, who declined to be identified discussing the private negotiations. Audi and Investindustrial declined to comment. At that price the deal, minus debt, would value Ducati at about seven times last year's earnings before interest, taxes, depreciation and amortization. Ducati's total liabilities are less than 200 million euros, buyout firm Investindustrial said last month. Volkswagen Chairman Ferdinand Piech, who turned 75 today, has long coveted the brand, publicly expressing interest in buying Ducati in April 2008 before eventually losing out to Investindustrial. The purchase will make Ducati the 11th brand in VW's portfolio, alongside super-car marques Lamborghini and Bugatti and heavy-duty truck manufacturers Scania AB and MAN SE. "Ducati is one of the finest machines you can buy but strategically it's insignificant for Volkswagen," said Christoph Stuermer, a Frankfurt-based analyst with IHS Automotive. "Its revenue is more than Lamborghini's and Bugatti's combined, but to the automotive operations, it's a mere accessory." Ducati would complement Audi's luxury-car lineup with products such as the $28,000 Superbike 1199 Panigale S Tricolore and expand the brand's competition with BMW, which makes BMW and Husqvarna motorcycles. Ducati, which last year sold about 42,000 motor bikes, had revenue for 2011 of 480 million euros. For Volkswagen, the deal would mean an entry into the motorcycle business and gaining another asset in Italy after buying super-car brand Lamborghini and Italdesign Giugiaro. Piech has also expressed interest in the past in Fiat's Alfa Romeo brand. Hero MotoCorp Ltd., India's biggest motorcycle maker, had also expressed interest in Ducati after Investindustrial made it known in February that it planned to sell the company. Daimler reiterated on Tuesday that it's not interested in acquiring Ducati. Ducati, which was founded in 1926, sells the Superbike, Monster, Streetfighter, Hypermotard, Multistrada and the new Diavel models in 65 countries. Over the past 60 years it has won 17 manufacturer's World Championship titles, most recently winning the 2011 World Superbike Championship title.